Our new rats have revealed extremely varied personalities. 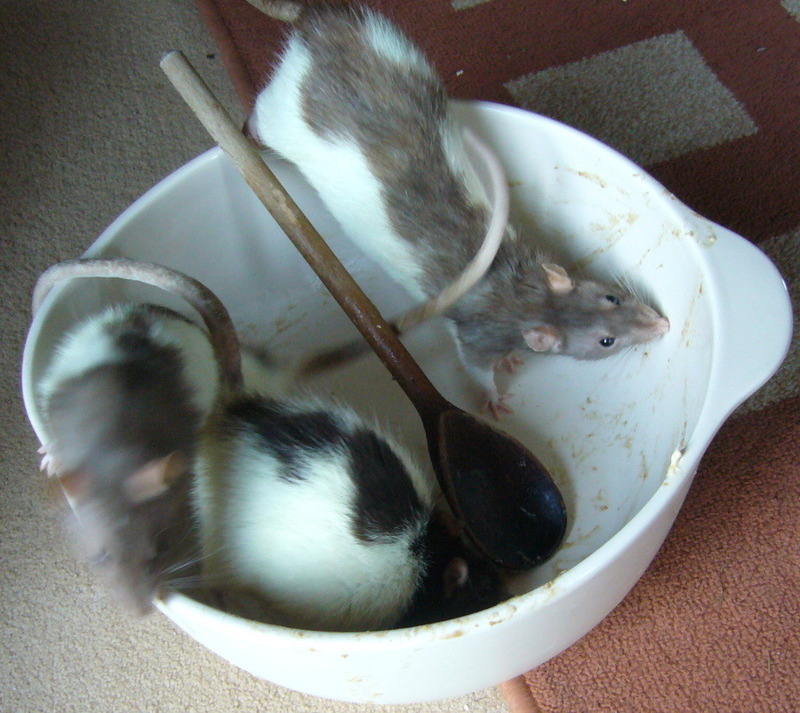 Teggs, the clearly dominant rat, will stash food away and attack any rat who comes close to it; as a result she is much heavier than the others. Two of the pictures below show what damage she can do when she gets mad. She doesn't bite humans; that is Twitch's job, an un-handlable rat. Jasper is at the bottom of the rat-pack, extremely friendly (with other rats and humans) but a bit dim; she likes to cosy up to Teggs, who then attacks her. Sprite is the most interactive, and shows the most intelligence and desire to explore. 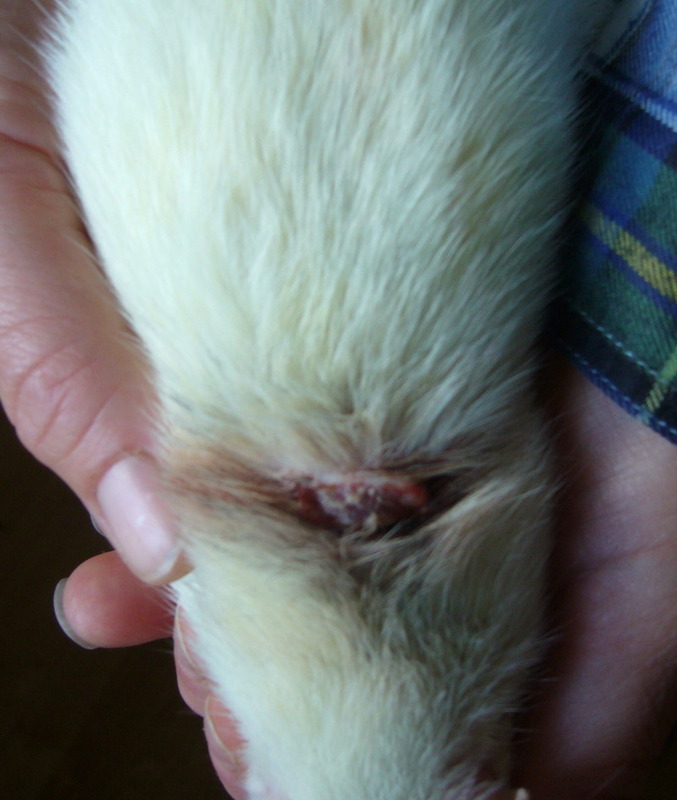 What is wrong with this rat and how could you let it get in this condition and deteriorate this far? What the hell? 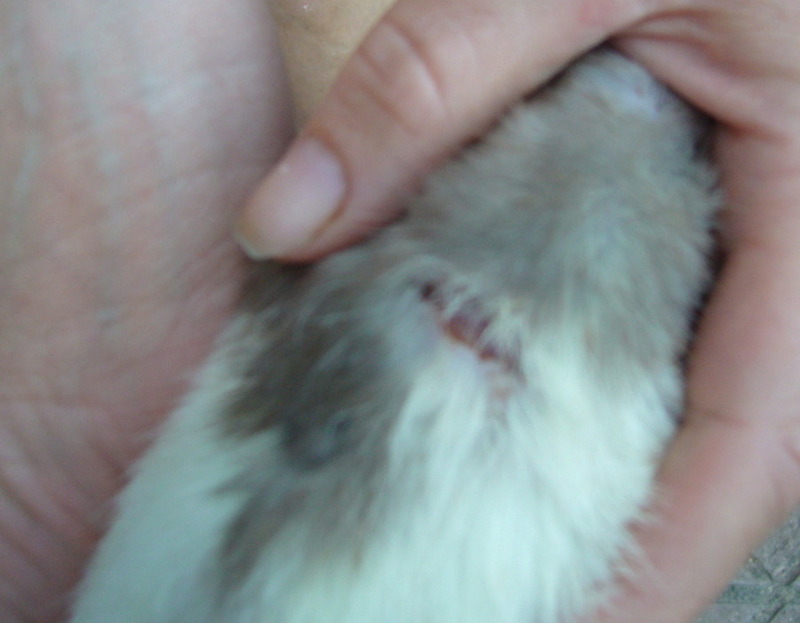 These were injuries caused by one of the rats, not a deteriorating condition. We had to get the vet involved to sort them out with stitches!